Unani medicine has a proud tradition that goes back to millennia. Its origins lie in ancient Greece among the founding fathers of modern medicine such as Hippocrates. 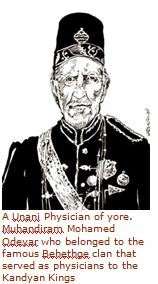 In fact, the very term Unani (pronounced yu-naa-nee) means ‘Greek’ and derives from the Arabic name for Greece Yunan. Although this form of medicine is no longer practised in the west, it has found a considerable following in South Asia, among the Muslims of India, Pakistan and Sri Lanka amongst whom it continues to flourish.Its spread of course is largely attributable to the Arabs who not only preserved the Greek sciences in their centres of learning at a time when it was declining in the west, but also cultivated and developed it to such a high standard that the western physicians who had earlier spurned Hellenic wisdom came to look upon it with respect, so much so that the Qanun-fit-tibb or ‘Canon of Medicine’ of Ibn Sina ( known to the west as Avicenna) was used as a standard medical textbook in the western world until as late as the 17th century. However it is sad to find Unani medicine steadily declining in the Arab world in favour of conventional western medicine. It is today mainly in India that the system continues to flourish thanks to the patronage extended to it by the Moghul emperors. Indeed, it is India and not Arabia that is the acknowledged centre of Unani today. The Urdu language of India’s Musalman has in fact become the effective medium of instruction in Unani studies to such an extent that even in Sri Lanka Urdu is taught as a subject in the Unani syllabus for three years while those students pursuing higher studies are required to consult standard Urdu medical treatises such as the Sharh-e-Asbab. Unani medicine which is practised by the Muslims of Sri Lanka has a long history going back to centuries. Despite its Greek origins, the country’s Muslims have regarded it as their very own and have frequently resorted to it in times of illness, where it has proven itself to be a very effective remedy. 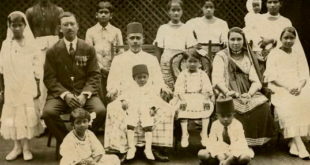 In the olden days, there were famous families of Unani physicians such as the Behethge Nilame family of Getaberiya amongst whom medical lore was passed down for generations from father to son. Today however the situation has become a bit more complex with state-qualified practitioners catering to the needs of the people.There are estimated to be about 500 Unani practitioners in Sri Lanka at present, a good part of them being private practitioners. There are also two state-run central dispensaries in Beruwala and Mahiyangana and another in Slave Island run by the Colombo Municipal Council. Dr. Muhammad Raeesuddeen, a qualified Unani practitioner and lecturer carrying on a small practice at his home in Kolonnawa explained that the drugs used in Unani are basically of three types, namely, those of plant, animal and mineral origin. Herbal preparations figure prominently in Unani. This includes Ittirifal-e-Ustaquddus, a compound medicine made of the triphala or three myrobalans (aralu, bulu and nelli) and a plant known in Urdu as Jarub-e-Dimagh (Brain-sweeper) which is much used for Sinusitis and all types of headaches. Ittirifal-e-Khishnish, another herbal compound made of triphala and coriander is used for headache and phlegmatic conditions. 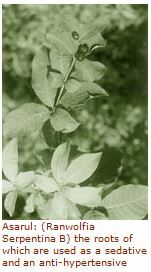 Mufar-e-Ahmadi made of rose petals is used in the treatment of gastritis. There are also medicines made of both plant and mineral matter such as Roghan-e-Khas made of lead oxide,sesame oil, datura alba, cateria lacca, ricinius communis and calotropis gigantea which is very effective in the treatment of eczema and other skin conditions. Among the minerals used in Unani are gold, silver, sulphur and gemstones. Minerals such as gold and silver are mixed with certain medicines and burnt to such a high degree that they are reduced to ash. This is commonly used in preparations such as aphrodisiacs. Gold especially has had a good reputation as an aphrodisiac ever since the days of the Moghul emperors who are known to have placed extremely fine gold leaves on to their steaming buriyani before consuming it. Burned gold is also used in the treatment of epilepsy and is called Kusht-e-Tila. Sulphur is used in the treatment of certain skin conditions. Among the medicinal preparations made of animal matter are Halwa-e-Ba, a sweet aphrodisiac made of egg yellow, almonds and dates. The testes of goats are also used for aphrodisiacs. Other materials of animal origin used in Unani medicine are deer horn and chicken gizzard, said Dr. Raeesuddeen. Unani medicine has proven to be very effective in the treatment of various ailments, and much of it is only now being scientifically demonstrated in the west. Dr. Raeesuddeen who attended the International Conference on Unani Medicine held at Aligarh Muslim University in India recently presented a paper on the benefits of the Black cumin seed or nigella sativa which figures in a tradition of the Prophet as a panacea for all ills except death. This wonderful drug known in Sinhala as Kaluduru is known to stimulate the immune system and to have anti-tumour and anti-bacterial effects. There is also Roghan-e-Khas, an ointment which is very effective in the treatment of ulcers, piles, cones, warts, pimples, dermatophytes and eczema. Dr. Raeesuddeen cited the case of a certain female patient with a fungal infection over her entire body who had consulted several Dermatologists to no avail. His prescription of the ointment however completely eradicated the infection within a week of its application. Another patient with oozing eczema had been cured in three days after having applied the ointment to the affected area and bound it with a clean cloth. The affected portion of skin came off after three days as if it were a piece of leather, he said. Unani has its share of problems as well. The lackadaisical attitude in promoting Unani on the part of government is a cause for concern among Unani practitioners. One serious problem is of course the dearth of drugs in the country. Although many of the raw materials used in the preparation of Unani medicines are available locally, there are also a number of compound medicines which have to be imported from India. Although the Ayurvedic Drugs Corporation advises practitioners to produce their own drugs, this is no easy task. There are however those enterprising individuals who have ventured out to produce medicines either for their own practice or for commercial purposes. These include Muhammad Nazmeer whose Negombo-based company Natural Herbal Products manufactures Roghan-e-Khas which is marketed in tubes under the brand name Rokhas. Dr. Zaheeda Jafar also prepares a few compound medicines at her home. This includes Sharbat-e-Swal for coughs, Ittirifal-e-Ustaquddus for phlegmatic conditions, Jawarisha Kamoon for gastro-intestinal tract problems and Jawarisha Jalinos for nerve problems. There are also those practitioners who import their requirements from India or Pakistan with the permission of the Department of Ayurveda.